NOTD: Catrice Poison me, Poison you! - Cherry Colors - Cosmetics Heaven! 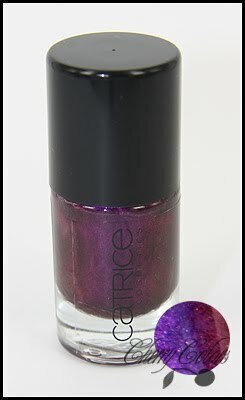 NOTD: Catrice Poison me, Poison you! I have been wearing this nail polish for the last three days. The Nfu Oh didn't last even a day, so I applied this one instead. It's a nice plum color that reflects in deep cold purple and in warm purple. It's weird but yet beautiful. And it also is very hard to photograph. As I said it's very hard to photograph. I really am envious of those girls who get the color perfectly! .) I must say that the formula is very good, it is very opaque too. I used two coats, but one could do too. It dries quickly and it didn't chip in three days! Even the white tip is almost visible, which is a huge plus! Plus, today I got lots of compliments about it, yaaay!